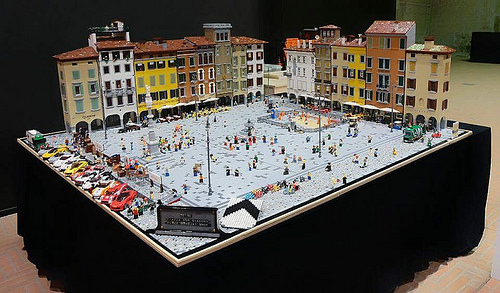 Luca Di Lazzaro and the Italian LEGO club ItLUG have built a minifig-scale model of San Giacomo square in Udine, in northeastern Italy. 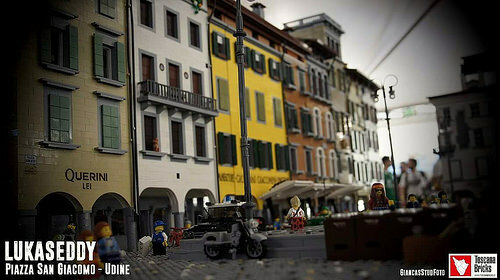 Featuring over a dozen buildings surrounding the square and populated by numerous minifigs, the model even includes a row of Italian supercars for the minifigs to drive away in. 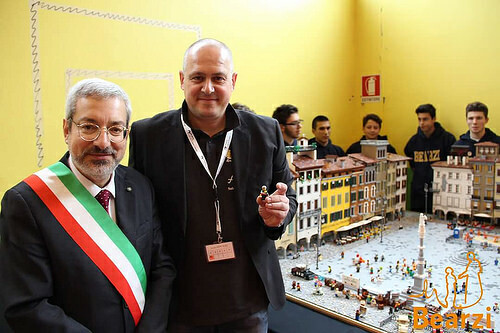 The model was on display in Udine at an event last month, where the mayor of Udine posed with Luca and the LEGO version of their home town. 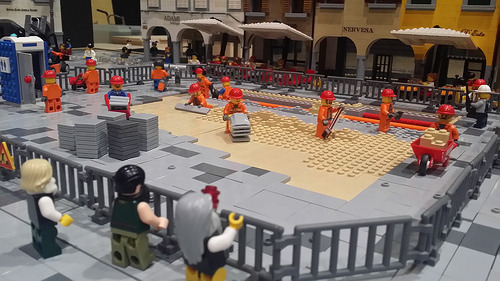 A large city square is always at risk of being fairly plain and uninteresting as a LEGO model, but Luca has built a number of fun scenes in the square itself, including a team of construction workers repairing the paving stones. Complete with ornate street lights, a fountain, and statue, the square looks just like the real thing. You can see over a hundred detailed photos (including photos of the real square for comparison) in Luca’s photoset on Flickr.